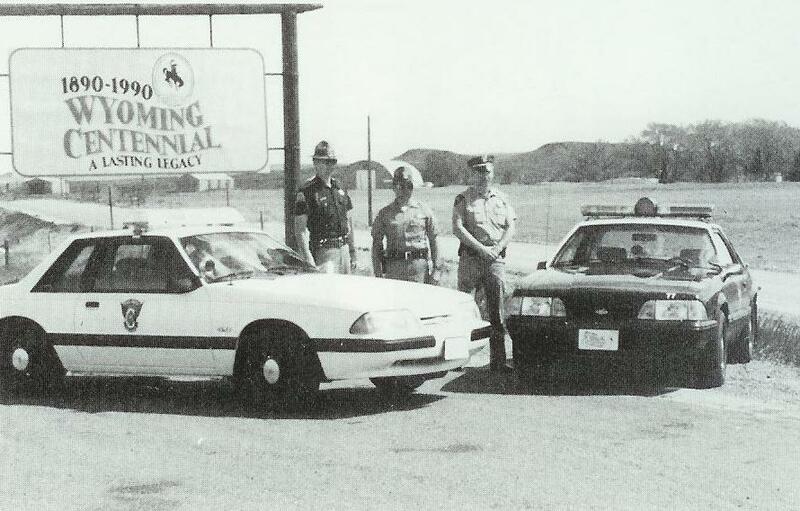 1987-1989 Wyoming Highway Patrol Mustang. 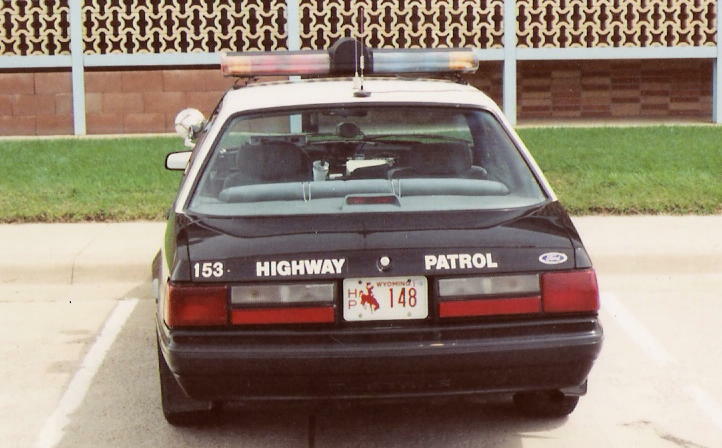 This car has the 1990 Wyoming Centennial front plate. E. Prince Photo. Another shot of the car above, unit #153. E. Prince Photo. Nice side shot of the car above. The drivers side spot is red on this car. E. Prince Photo. One last shot of the same car. E. Prince Photo. 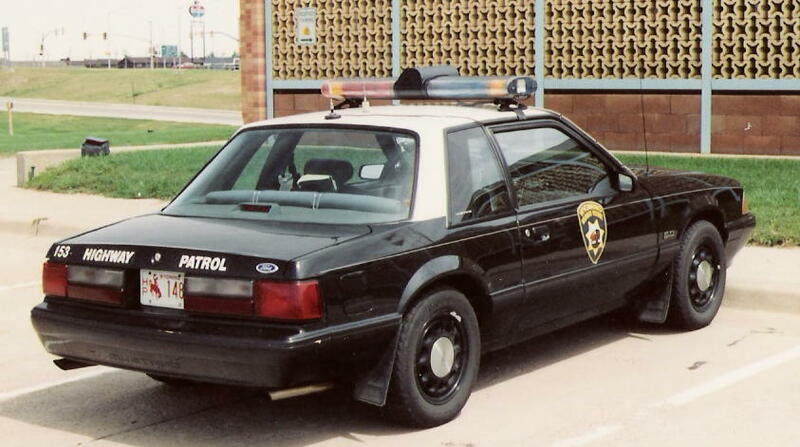 Here's another Wyoming car...it appears to be a 1990, judging by the wheels. 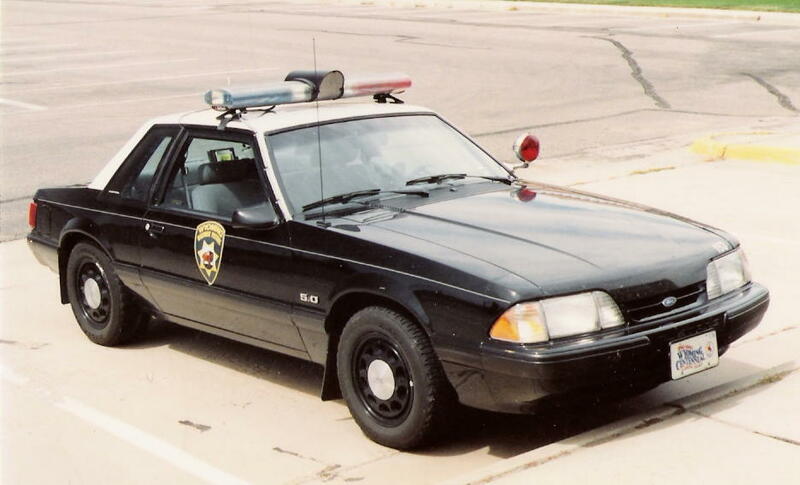 This one also has the front, Centennial license plate.